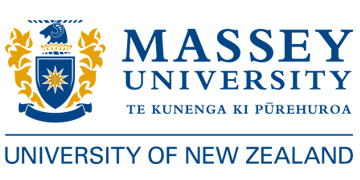 The School of Veterinary Sciences, at Massey University, New Zealand, invites applications for a tenured position in veterinary small animal surgery, based at the University's Manawatu campus, in Palmerston North. In this position, you will be part of a four surgeon team, with approximately 50% of the time spent on clinical duties, 20% on rostered teaching, and 30% on protected scholarly time. During scholarly time, you will be expected to participate in research and contribute to the wider scholarly activities of the Companion Animal Group. Our AVMA-accredited veterinary programme is world-renowned (29th QIC rated University for the Veterinary Degree), providing high quality, research-led education. The Veterinary Teaching Hospital (VTH) is a referral centre for New Zealand, and is staffed by board-certified Specialists in anaesthesiology, internal medicine, oncology, diagnostic imaging, nutrition, emergency medicine/ critical care, and obviously surgery. Emergency services are provided 24/7, and the hospital has an established community practice/ primary care clinic. The diagnostic imaging service manages cases from the companion animal, equine, production animal and the wildlife hospital. There is a diverse and interesting range of cases, and there are ample opportunities for collaborative research. The VTH is well-equipped; we perform TTA/ TPLO/ PAUL/ THR(CFX) and have AO and SOP plating equipment /ImexSK ESF/ CRF and an ILN system. We have digital arthroscopy/ laparoscopy equipment and intra-operative C-arm fluoroscopy. Our imaging suite is equipped with Eklin DR and a Philips 16 slice helical CT scanner with access to MRI off-site. The companion animal surgical area includes two Specialist surgical theatres, a state of the art sterile supply, a separate student theatre suite, and a large anaesthesia induction and recovery suite. Surgical cases with greater requirements for monitoring are transferred the intensive care facility which is staffed by an ECC Specialist. To be successful in appointment to this role, you must possess a veterinary degree registerable with the Veterinary Council of New Zealand, and you must also hold a specialist qualification (FANZCVS/ ACVS/ ECVS) for a Senior Lecturer role or be board-eligible (Lecturer role). Appointment to Associate Professor requires an advanced degree or extensive experience at a specialist level. If you do not hold a higher degree (e.g. PhD), you may be able to undertake a higher degree programme, with the approval of the Management Group Leader and Head of School. You will need to have a strong clinical service focus, both towards clients of the Veterinary Teaching Hospital and towards our referral veterinary colleagues. In addition, you will be expected to be an enthusiastic teacher of veterinary, veterinary technology, and postgraduate students. In addition, you will show initiative and flexibility, and possess excellent communication and team skills. Experience in small animal surgery at the referral level is essential.